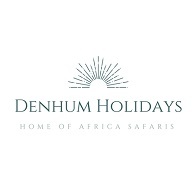 At Denhum Holidays, we are committed towards personalized services to all our clients from time of booking to during your holiday following everything to the little details that many over-look. Our safari tour excursions are affordable and can be tailored to suit your holiday budget whilst still providing the African adventure experience of a lifetime. Our Safari Drivers/Guides The success of any safari depends on how efficient the guide is. In this respect the greatest care is taken in selecting responsible, qualified guides who are capable of providing a cheerful, caring and attentive service to our clients. All our safari driver guides are qualified and have extensive knowledge of wildlife and parks. Our Safari Briefings Denhum Holidays dedicated Client Service Representatives meet each and every arriving guest at International airports for briefing and answer any question to help feel at home away from home. Our travel professional is at hand to facilitate seamless arrival and departure formalities as well as to ensure that your onward flight reservations are in order. We make sure all your needs and concerns are addressed in advance during the booking, confirmation and reconfirmation stages prior to your arrival. Our extensive fleet, consist of custom-built and specially modified safari mini buses and wheel drive safari Land Cruiser on all our safari with choice being yours on which type you want to use depending with your budget. All vehicles have sliding widows, roof hatches and high ground clearance to optimize all around visibility for game viewing and photography. Each vehicle is equipment with an HF radio set, giving round-the clock communication with our office.